Lindblad Expeditions-National Geographic has announced four new itineraries and, due to popular demand, brought back four itineraries for the 2015 season -exploring a range of new destinations. This voyage spans five countries and a range of diverse habitats. Guests can experience Mozambique’s capital, coast and marine life, the lemurs of Madagascar and bush country of South Africa, to name a few. The 21-day voyage begins 21 March 2015 with rates from $28,820, departing Cape Town, South Africa and disembarking in Dar es Salaam, Tanzania. This trip provides an opportunity to see tropical nature at its best in almost every location. Guests will learn about Zanzibar’s history and the Swahili culture, explore the unique coco-de-mer on Praslin Island and encounter three world heritage sites – Zanzibar’s Stone Town, Aldabra, and Praslin’s Vallée de Mai. The 13-day voyage begins 9 April 2015 with rates from $14,770, departing Dar es Salaam, Tanzania and disembarking in Victoria, Seychelles. On this voyage guests will visit the middle of the Indian Ocean – home to tiny tropical islands with pristine ecosystems. Here they can snorkel with more than a thousand types of fish species including manta rays and whale sharks, search for blue whales near the Maldives and Sri Lanka and walk the ramparts of the walled city of Galle Fort, a UNESCO World Heritage site. The 19-day voyage begins 20 April 2015 with rates from $22,140, departing Mahé, Seychelles and disembarking in Colombo, Sri Lanka. This is an expedition of rare opportunities, where guests can search for leopards or elephants on game drives and meet welcoming people of long-isolated cultures. Highlights include a two-day visit to an orang-utan rescue centre in the forests of Borneo, exploring the seldom-visited Andaman Islands and visiting Sabang, at the western end of Indonesia. The 20-day voyage begins 6 May 2015 with rates from $23,380, departing Colombo, Sri Lanka and disembarking in Denpasar, Bali. This trip explores the Cyclades throughout the Aegean Sea. Guests can discover ruins in the ancient sanctuary of Delos (birthplace of Apollo and Artemis), ride a donkey or cable car down a cliff side to the harbour of beautiful Santorini and soak up the culture and Venetian legacy of the age-old villages. The eight-day voyage begins 25 May; 5 Jul. ; 13 and 20 Sep. 2015 with rates from $9,770, departing and disembarking in Athens, Greece. 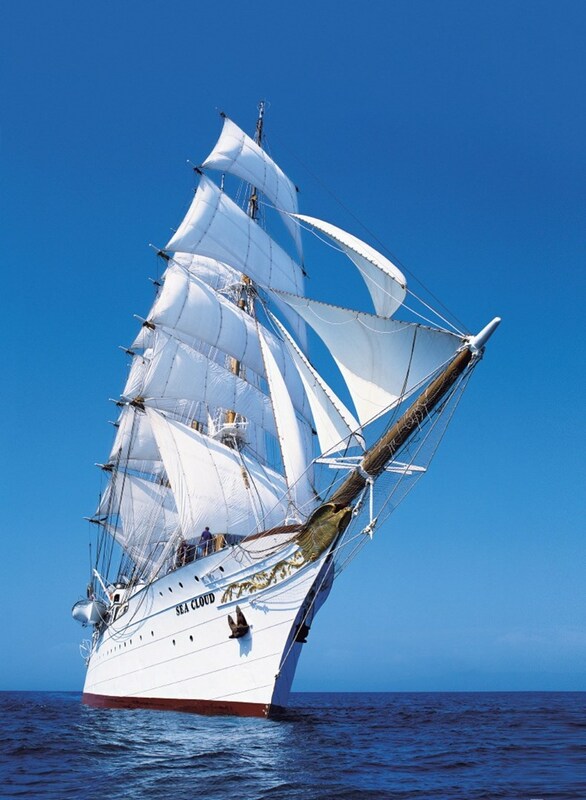 Guests will explore nine countries aboard this expedition of rich culture through West Africa. Expedition highlights include exploring the chimpanzee rehabilitation centre in Sierra Leone, tracing the history of the transatlantic slave trade at Ghana’s Cap Coast Castle and taking a boat across Benin’s Lake Nahoué to explore a village built solely on stilts. The 19-day voyage begins 24 March 2015 with rates from $21,280, departing Accra, Ghana and disembarking in Casablanca, Morocco. This is the chance to channel the explorer within, as guests discover the landscapes and traditions of the Vikings throughout Greenland and Iceland. This itinerary allows guests to see the sights of the Viking Trail, explore ice floes in East Greenland by Zodiac and kayak and a hike through Iceland’s wild Westfjord region. The 11-day voyage begins 20 July 2015 with rates from $11,760, departing Reykjavík, Iceland and disembarking in Kangerlussuaq, Greenland. This is the best way to explore deep into the far reaches of the Arctic, tracing the fjords of Greenland and navigating the mouth of Canada’s legendary Northwest Passage. Guests will have the opportunity to travel between large icebergs at the mouth of UNESCO site the Ilulissat Icefjord, discover the wildlife and landscapes of the Canadian High Arctic and observe polar bears, walruses, ringed seals and whales in their natural habitat. The 13-day voyage begins 20 July and 7,17 and 27 August 2015 with rates from $14,430, departing and disembarking in Ottawa, Canada.